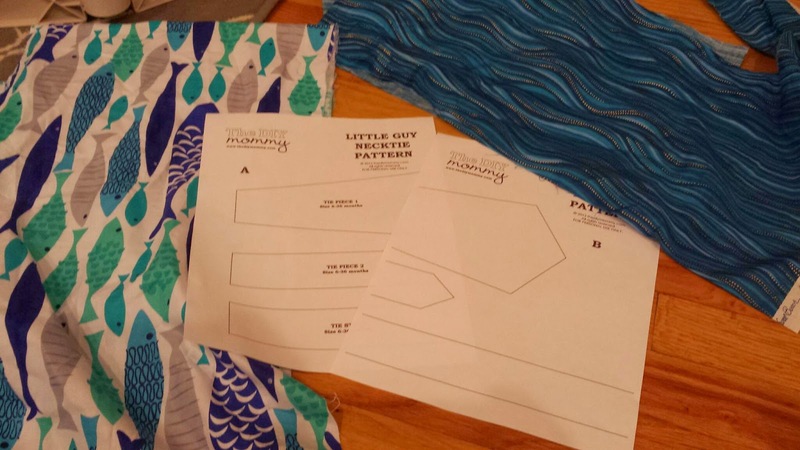 What on earth am I supposed to do with all of the fabric left over form my no-sew pillows? Since I'm not a sewer, there isn't a ton of use for me to hold on to it for a random project, so I may as well try to come up with something for it. 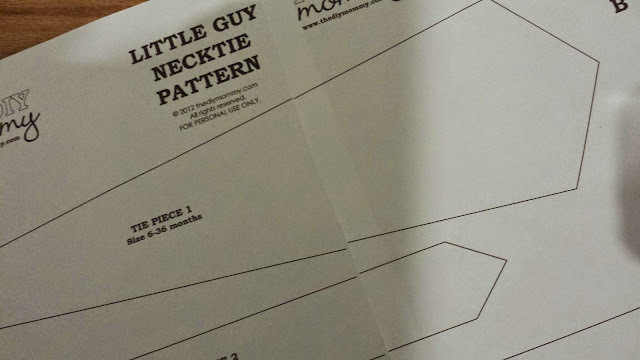 I found a really cool pattern for sewing a baby necktie and knew that I had a winner. 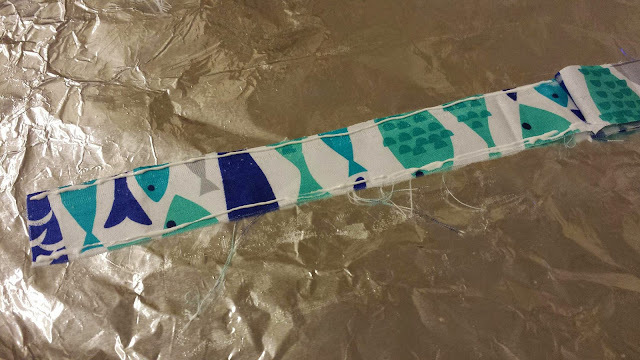 I still don't have access to a sewing machine, so I will be using my fabric glue (Dritz Unique Stitch Adhesive) for this project. Wish me luck! 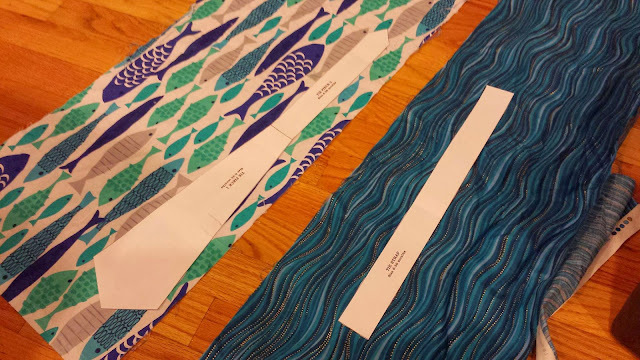 So when I printed the pattern pieces, the big tie piece didn't line up exactly. This isn't a big deal, I can shorten the tie and then line the other two pieces up exactly. Tie Piece 2 and Tie Strap lined up with the correct widths, so it wasn't a printing error. I'd be more nervous about this project, but since I'm using remnant fabrics if it turns out poorly it is not the end of the world. 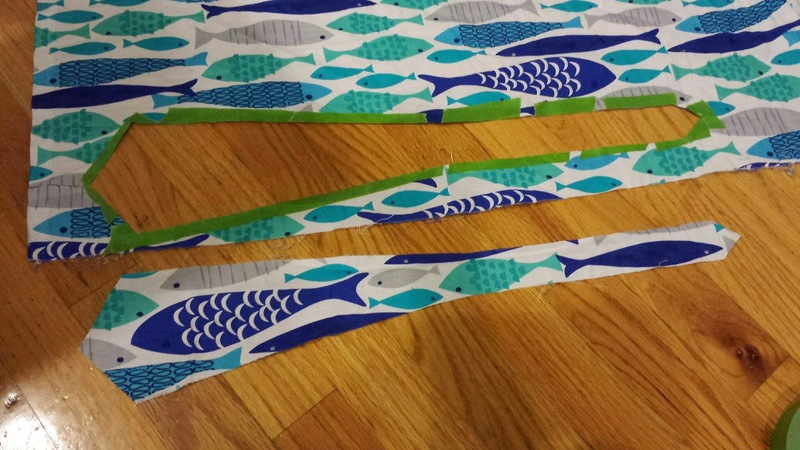 I think my fabric is long enough that I stitched tie piece 1 to tie piece 2 and cut one piece. This eliminated the seam in the middle of the tie and worry how the glue would hold up there. So I said I wasn't afraid... but now that it is time I'm afraid to cut!! I ended up frog taping the pattern to the fabric and then cutting around that. I spent a lot of time positioning the tie so I could get a fish in the middle of the fat part. 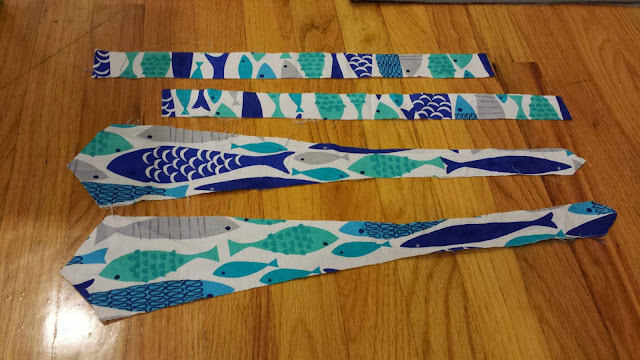 I centered a big fish in the middle of one side and then did smaller fish on the other side of the tie portion. After gluing these together I can decide which one I like more before tying the tie. I wish the neck piece was longer. 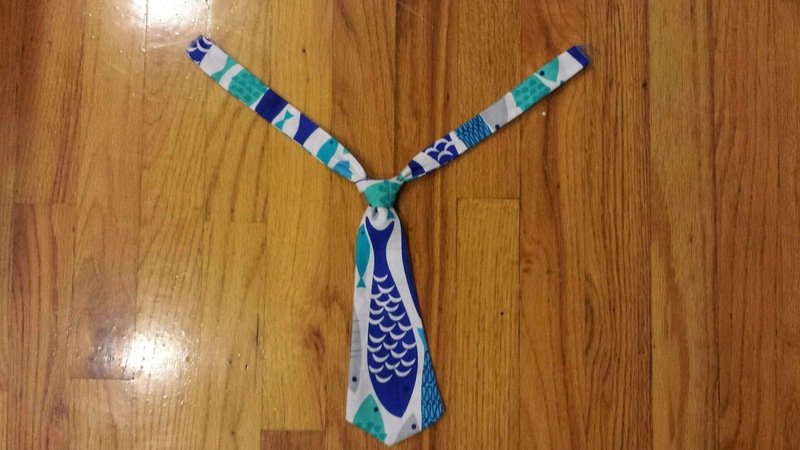 I compared it to a tie that I had for Lucky already and decided to make the next pieces a bit longer. 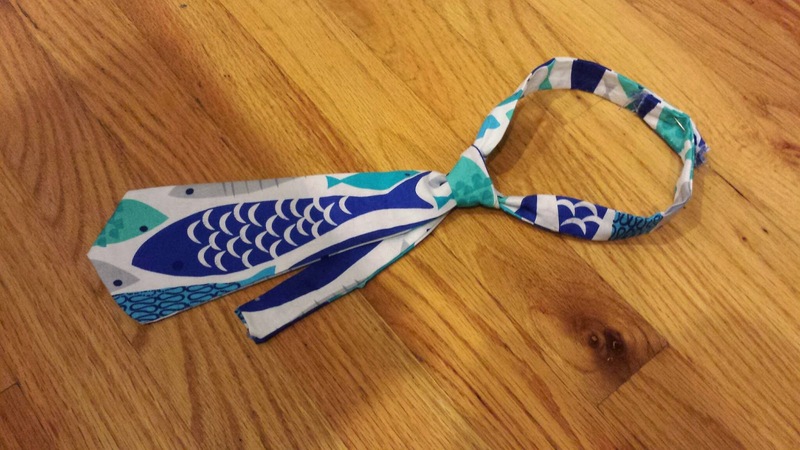 I really could hand stitch this tie, it might be easier to get the 1/4" seams that I need if I did that. However, I really want to try to use the glue. 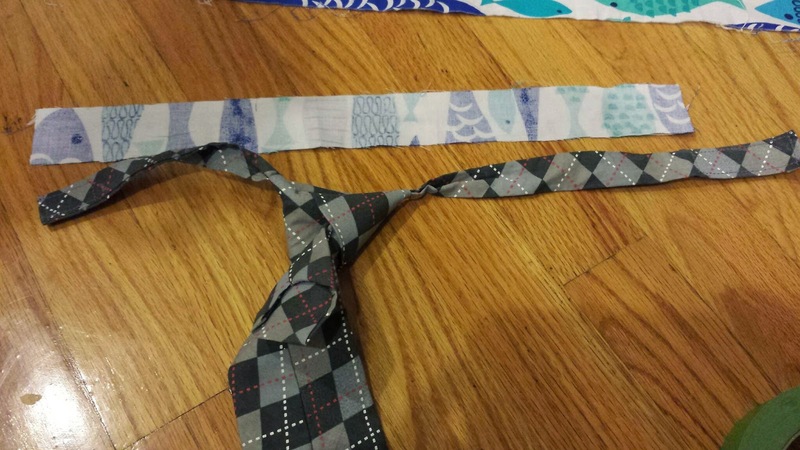 It will be MUCH faster and let's be honest, it isn't like Lucky will be wearing these ties a lot. 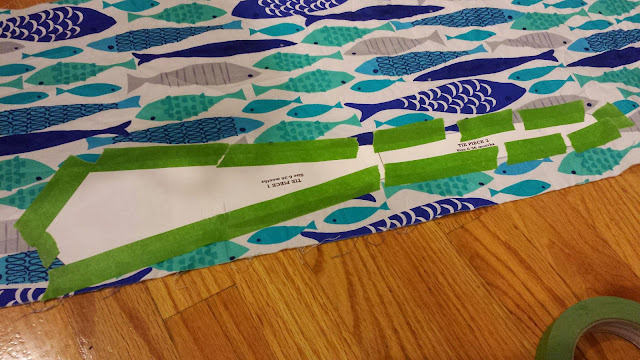 Turning the pieces right side out was the hardest part. 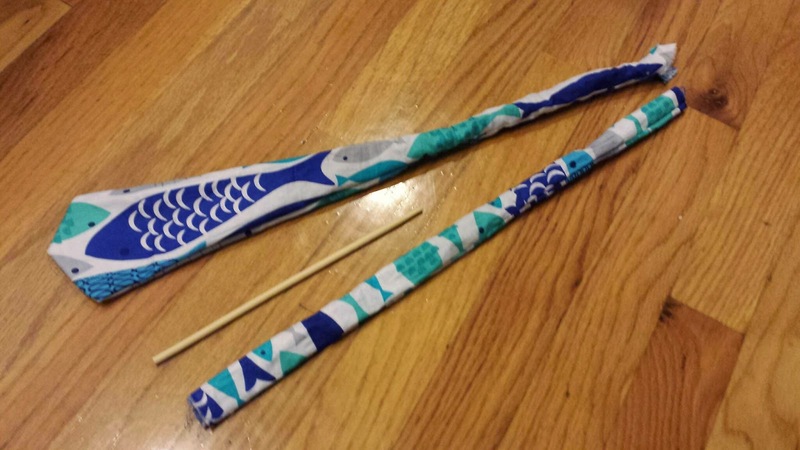 I think this would have been just as difficult if I had used thread as it is now with the glue (which is amazingly flexible when dry by the way.) 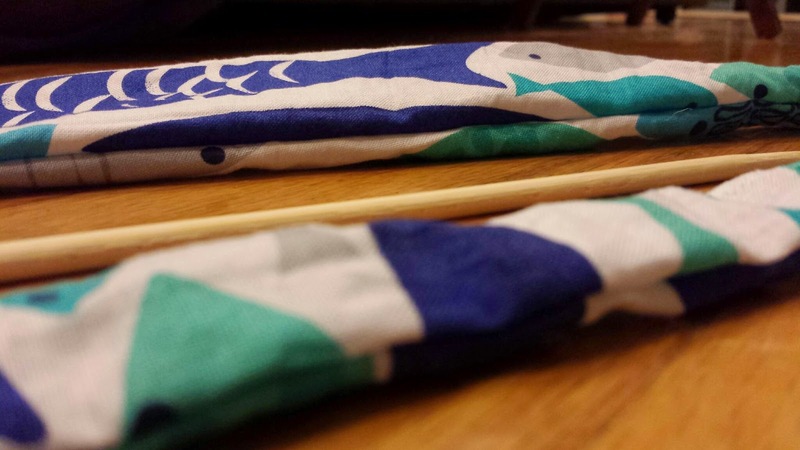 I needed a chopstick to help get the points Pressing is absolutely required. Pressing was easy and the look great! 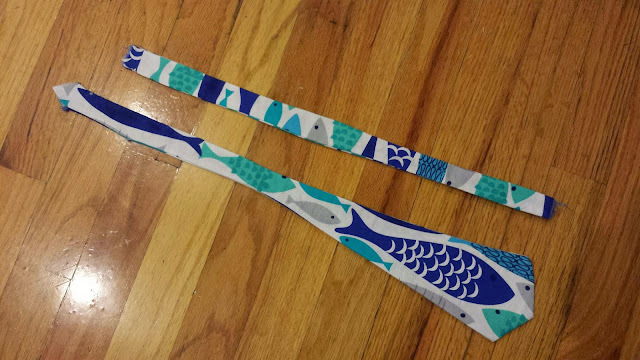 I'm considering making a second fish tie with the fish swimming sideways rather tan up or down, I like the way the pattern looks on the neckband. I tied it up and Oh My does it look awesome! I think I need to make more of these STAT. 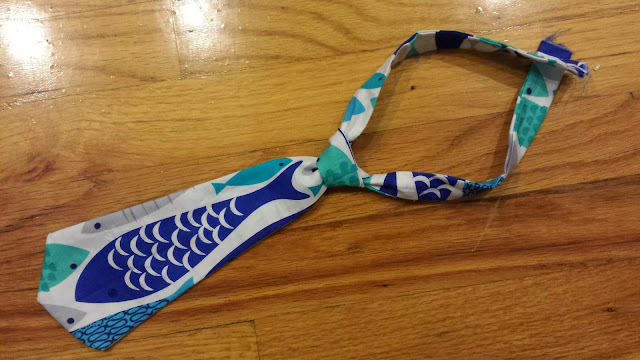 I turned the points on the back of the tie inside out and stuck that with some glue to "hem" it. I figure no one will see the point anyway so it is okay if that detail is lost. I need to get to a craft store to buy some velcro to finish off the neckband, but for now I think I can try it on Lucky with a safety pin. 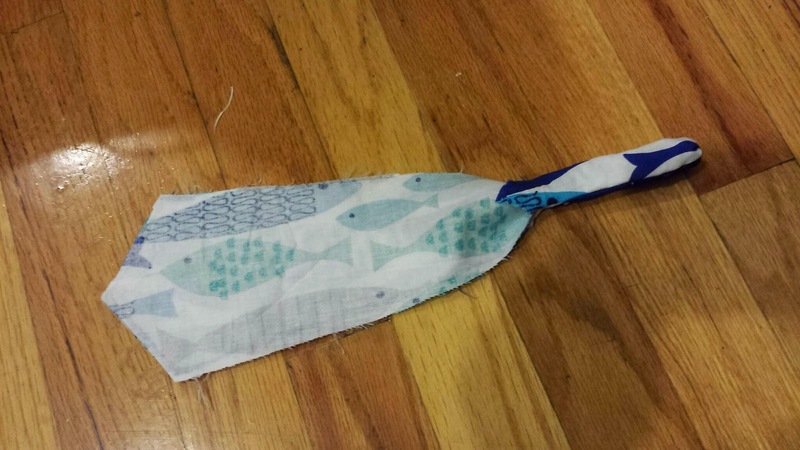 Chevron Fish Birthday Banner - FREE PRINTABLE!